How to Raise an Adult (2015) reveals the ways in which the most common parenting method today, helicopter parenting, is doing more harm than good, both for parents and kids. 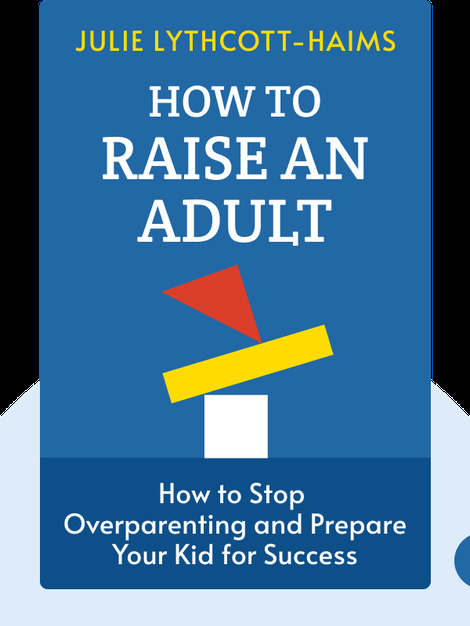 These blinks outline a better way to parent – one that actually raises children to become truly independent adults. 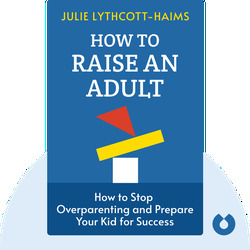 Julie Lythcott-Haims served as Dean of Freshmen and Undergraduate Advising at Stanford University, and has spoken and written widely on helicopter parenting. She is also a poet and a playwright.